‘Woman, how does your concern affect me? 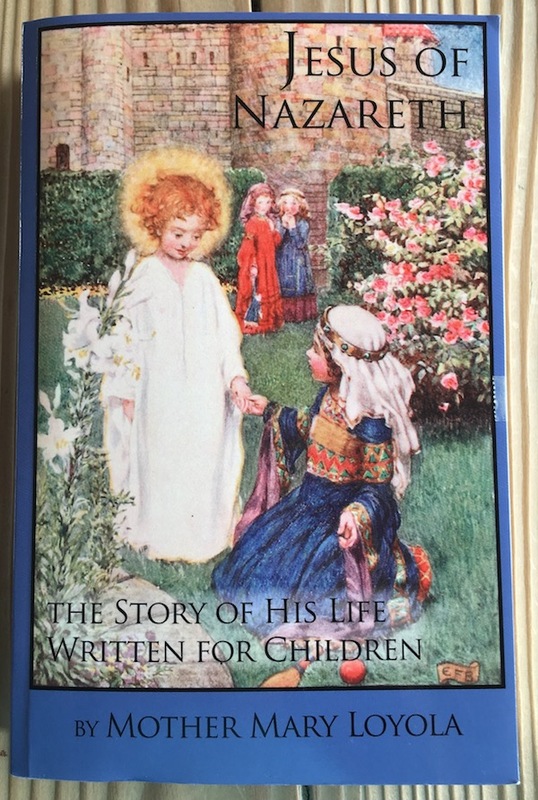 Note to Parents: Mother Mary Loyola published her book in 1907. The language may sound odd to children today. 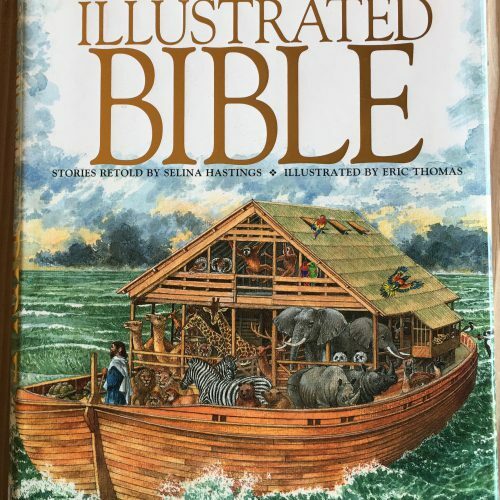 The book uses Holy Scripture combined with the author’s love, knowledge and imagination to bring Jesus, and Bible stories to life for children. Parents, this story is excellent for preparing children for First Holy Communion, and for laying the groundwork of the introduction of the meanings of the words: “Transubstantiation” and “Real Presence.” Talk about what these two words mean with your child or children. Talk with them before and after Mass, in the car or at home, to find out what they understand. These conversations will help you know what the children are actually thinking, and help them have better comprehension. “Moreover, in and through the Holy Eucharist, our late Holy Father taught that we can contemplate the face of Christ because He is truly present: ‘To contemplate Christ involves being able to recognize Him wherever He manifests Himself, in His many forms of presence, but above all in the living sacrament of His Body and Blood. The Church draws her life from Christ in the Eucharist; by Him she is fed and by Him she is enlightened. The Eucharist is both a mystery of faith and a mystery of light. Whenever the Church celebrates the Eucharist, the faithful can in some way relive the experience of the two disciples on the road to Emmaus: their eyes were opened and they recognized Him. '” (#6). This photo is of the church chapel where the wedding miracle is commemorated and honored. 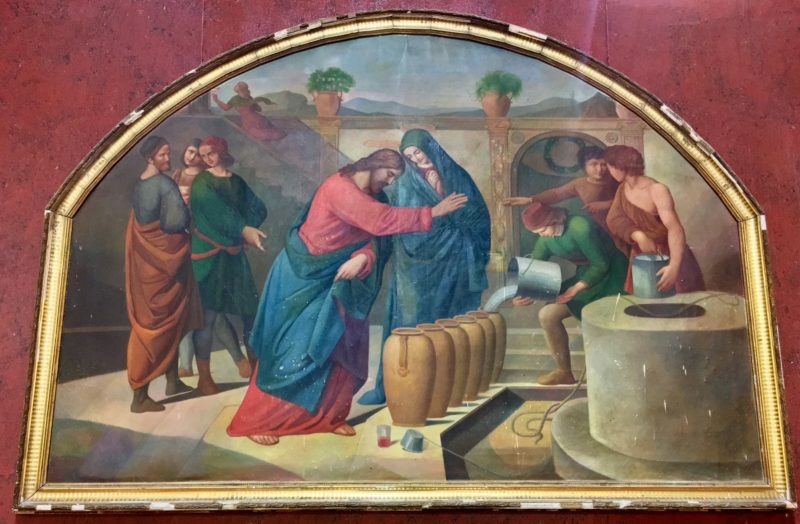 I took this photo in June 2017, of a painting in the chapel, which perfectly illustrates the story of the miracle at Cana, in Galilee, Israel. I never thought that I’d actually be able to visit Israel, but it happened! My husband and I traveled to Rome, Italy in June 2017 to be present at the ceremony of the Doctoral Defense of our Son, Father William Goldin. Since we knew we’d be in Rome already, our son suggested that I visit Israel with him afterwards for ten days. My husband had work to return to, so off I went with my son for a trip I’ll always cherish. This is a fun printing experience for children of all ages. 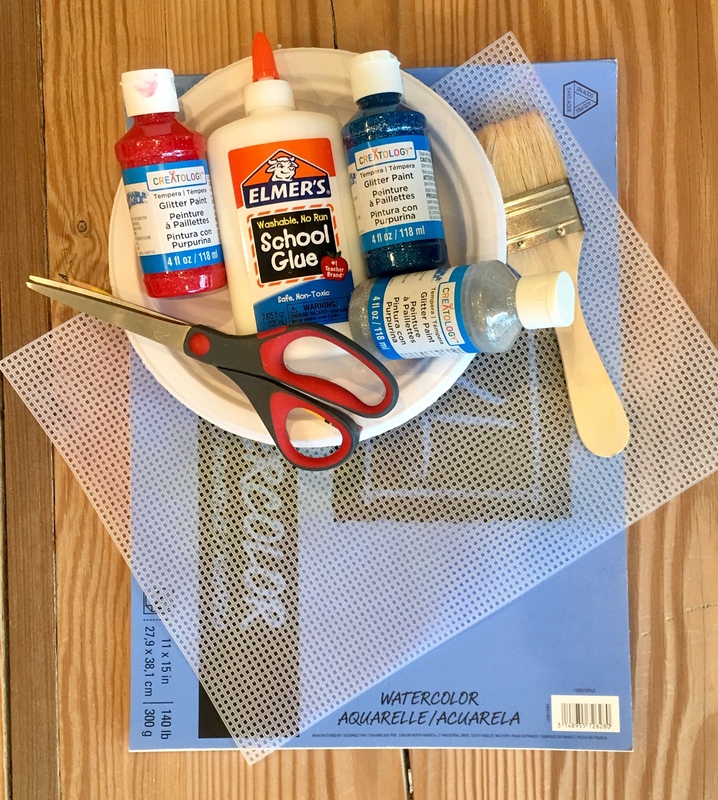 Use any type of children’s washable poster or tempera paint. Use watercolor paper for sturdiness. Put any type of scrap paper on the workspace cover it with the mesh. I recommend putting something under the scrap paper if you want to keep the table clean. Invite the children to paint the mesh with a big brush, sponge or fingers, putting a thick coat of washable paint using two colors to represent water and wine. 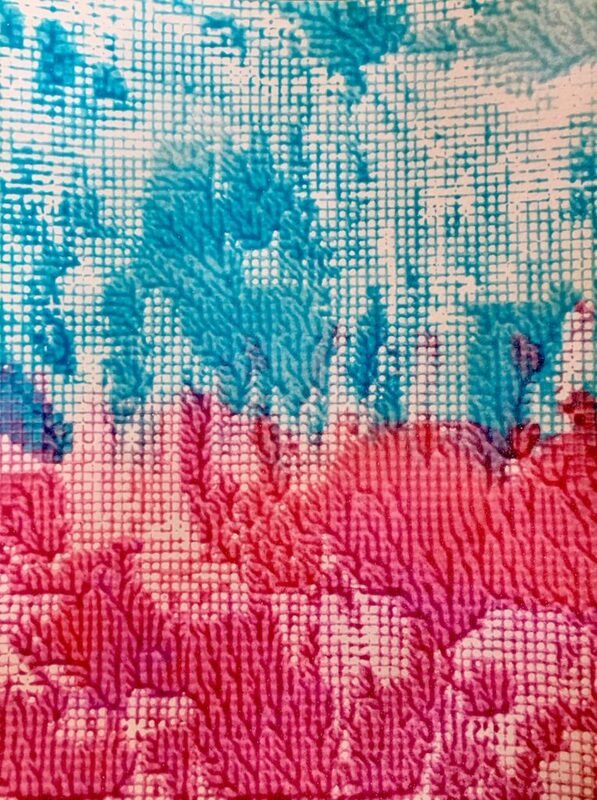 Take a piece of watercolor paper and press it on top of the painted plastic mesh. Carefully peel off the top paper now printed with the paint. Let the painting dry. 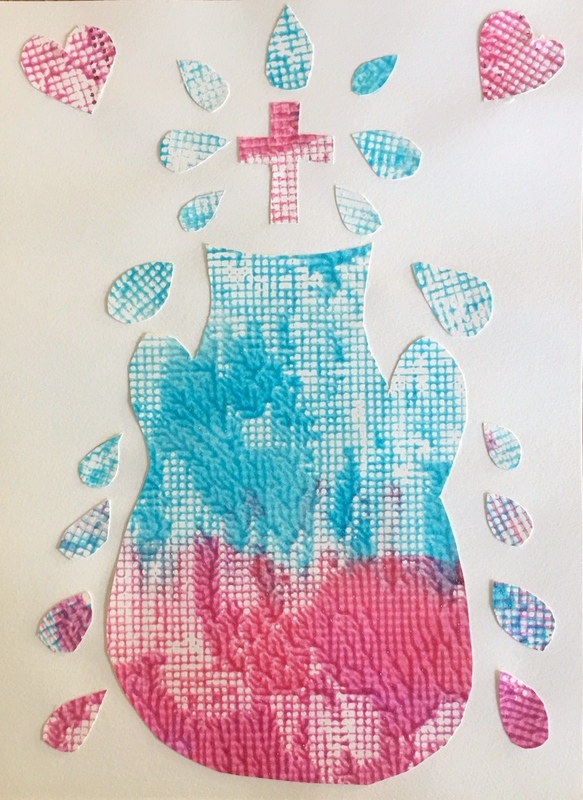 You can stop at that point, or cut out shapes to create a collage of the “Wedding at Cana.” Take a piece of larger watercolor paper to glue the cut outs onto it. Liquid school glue works better than glue sticks. I cover my collage with a plastic cutting board topped with a couple of books to help the glued pieces dry flat without curling. Do some research with your children about the life and times of Jesus. For the art project, I wanted to see how the water jars looked that would have been used at the wedding at Cana. I read, “The Marriage Feast of Cana” from The Children’s Illustrated Bible which offers “side panels” on different aspects of life at the time of Christ. This story has drawings of water jars from the region, information on the town of Cana, and shows musical instruments that might have been played at a wedding long ago. 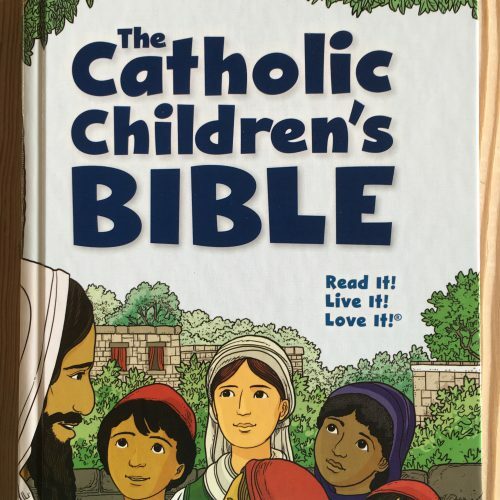 Please read from a Catholic Children’s Bible the story of “Jesus Calls His Disciples.” The Catholic Children’s Bible is an excellent book for a family’s library. 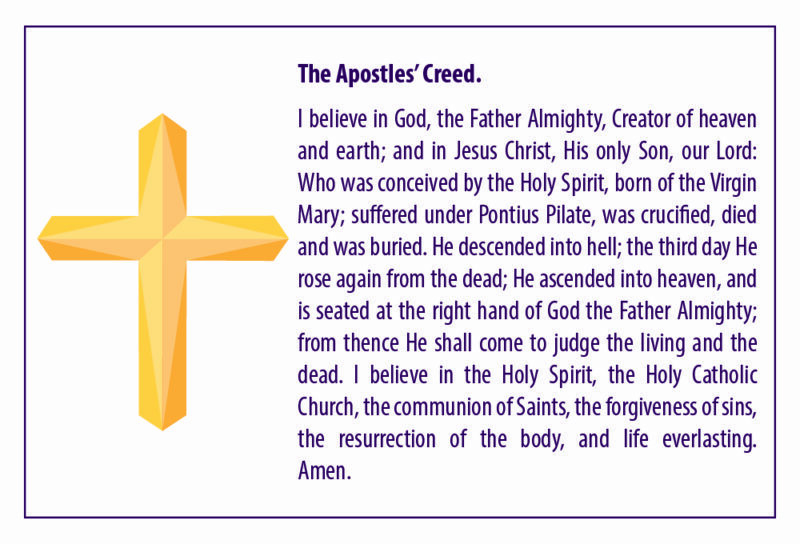 Also, “The First Disciples” John, chapter 1:35-51 is available on USCCB.Org.